Sergey Terentyevich Semyonov (1868 - 1922) was a Russian writer and a member of the Moscow literary group, Sreda. He was admired and mentored by both Leo Tolstoy and Maxim Gorky. Semyonov was born in a small Moscow village called Andreyevskoy, which he left at a young age to try to find any work he could, which included: errand boy, salesman, plumber, laborer, and a blind merchant guide. These experiences and travels were the material for his writing. Leo Tolstoy praised his first work, Two Brothers , published in 1887. Semyonov's political pursuits proved deadly. 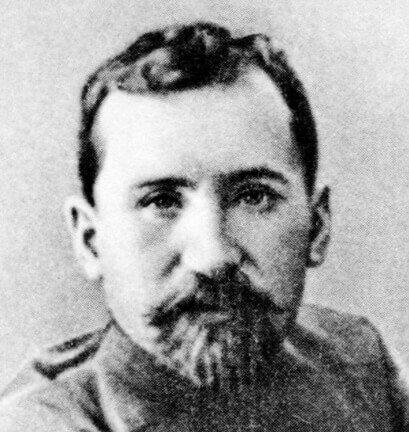 He was exiled in 1906 for his revolutionary connections, and after actively participating in the Revolution of 1917, was murdered by bandits in 1922. His friend, Maxim Gorky remarked after his death that at least Semyonov was recognized for his work, which is all a man could ask. We feature Semyonov's short story, The Servant, about a young man desperate to find work, published in 1917, the year of the Revolution.